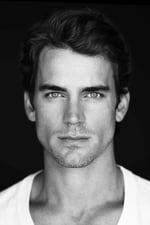 Matthew Staton "Matt" Bomer (born October 11, 1977) is an American actor. He made his television debut with Guiding Light in 2001, and gained recognition with his recurring role in the NBC television series Chuck. He played the lead role of con-artist and thief Neal Caffrey in the USA Network series White Collar from 2009 to 2014. Bomer won a Golden Globe Award and received a Primetime Emmy Award nomination for his supporting role as Felix Turner, opposite Mark Ruffalo, in the HBO television film The Normal Heart (2014).